Are You Ready For Star Rebels? Grab this FREE anthology of short stories featuring space exploration, alien races, and adventure! Meet eleven protagonists battling to save themselves and the ones they love. 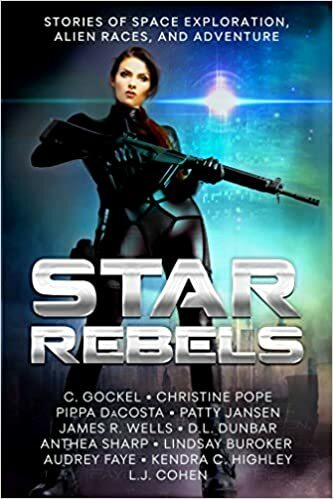 Human, cyborg, clone, or alien, they’ll find themselves pitted against intergalactic crime bosses, interstellar mercenaries, a quantum-wave-riding collective mind, and the universe itself. Along the way, there’s plenty of action, adventure, humor, and even some romance. Written by the freshest voices in science fiction, these stories are short, but they’ll light your imagination like a solar flare. Strap yourself in and join the rebellion! This entry was posted in Book Bundles, Free, Sale!, Science fantasy, science fiction, Steam punk and tagged action adventure, e-book bundle, ebook sale, new release. Bookmark the permalink. 4 Responses to Are You Ready For Star Rebels? Yay! BTW, the Amazon button link doesn’t seem to be working.